London, UK – Friday 25th November 2016 -- On Monday 28th November, Vinny Pazienza, the subject of forthcoming Hollywood movie BLEED FOR THIS, will descend on pro boxer Ben Day’s Ringtone Gym in Euston, London for a series of press interviews, ahead of a special private screening of the film that evening. 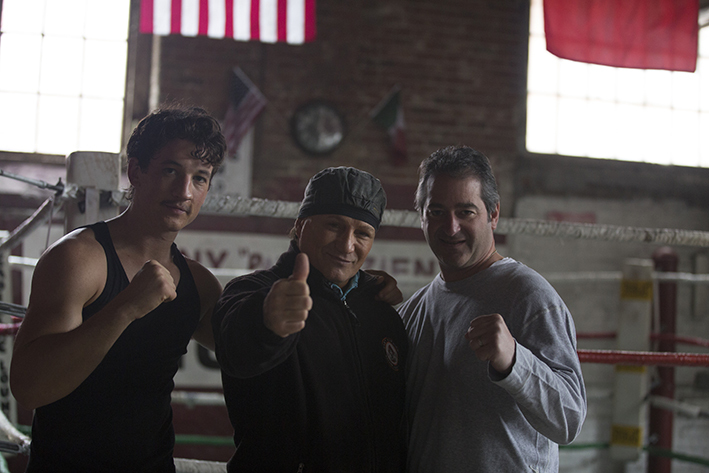 BLEED FOR THIS goes on general release in the UK on Friday 2nd December. 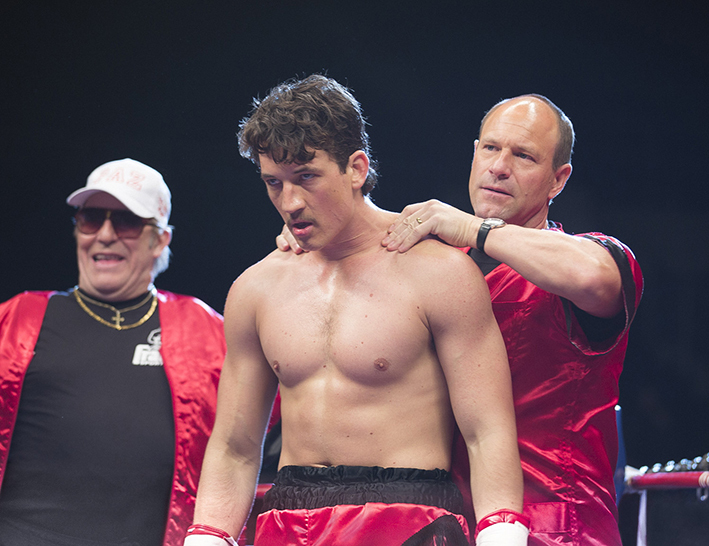 BLEED FOR THIS is based on the incredible true story of Vinny Pazienza, who is played by Miles Teller in the movie, one of the few American boxers to hold World Titles in three different weight categories, who suffered a near-fatal car accident at the peak of his career. Told he would never walk again. Vinny spent months recovering in a neck brace until, against doctors’ orders and without their knowledge, he returned to the gym. With support of trainer Kevin Rooney, played by Aaron Eckhart in the movie, "The Pazmanian Devil" made a triumphant return to the ring just over a year later. 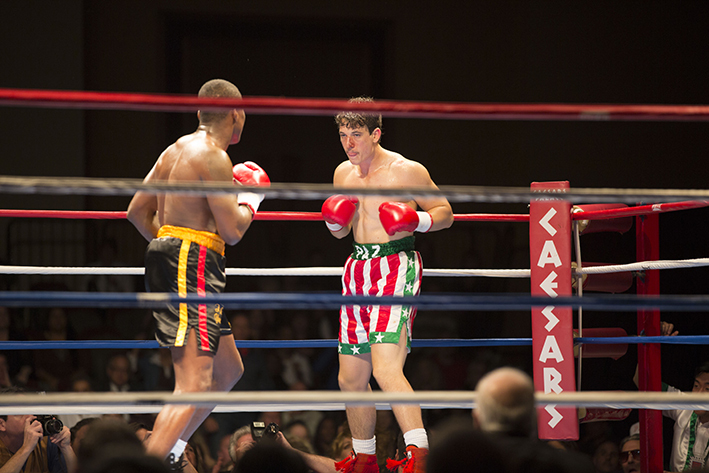 Written and directed by Ben Younger (Boiler Room), BLEED FOR THIS is executive produced by RAGING BULL director Martin Scorsese. Miles Teller (Whiplash, War Dogs) stars as Vinny alongside Aaron Eckhart (The Dark Knight, Sully) as Pazienza’s trainer Kevin Rooney. The Supporting cast includes Ciarán Hinds, Ted Levine and Katey Sagal. On a quirky side note: On Saturday 3rd December, the day after BLEED FOR THIS is released nationally in the UK, Ringtone Gym owner Ben Day will be back in Championship action himself, as he looks to secure his third title, the Southern Area Lightweight, against Michael Devine at York Hall in Bethnal Green, London. Speaking earlier Ben said "I’m really looking forward to Vinny and the stars of the film coming to the gym on Monday. 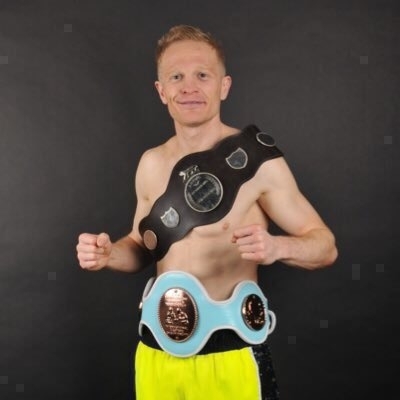 I can empathise with Vinnys struggles we've both had struggles in similar areas, his physical and mine mental, following an extremely tough upbringing, however against all the odds I now hold an International Masters Belt and the Southern Area Super-Lightweight title, and I'm fighting for the Southern Area Lightweight Title on 3rd December!"